Pilgrim Rehabilitation and Skilled Nursing in Peabody has been named among the best in the nation by U.S. News & World Report for the third consecutive year. Pilgrim Rehabilitation was among 68 in Massachusetts designated as “Top Performers” by the national magazine. U.S. News evaluated more than 15,000 skilled nursing facilities nationwide, across each state and in 100 major metropolitan areas. Nearly 2,300 nursing homes earned the designation as a U.S. News Best Nursing Home. U.S. News has updated the methodology used to evaluate nursing homes to ensure that the designation of Best Nursing Home is given only to those homes that demonstrate appropriate use of key services and consistent performance in quality measures. 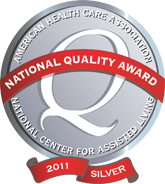 To qualify as a Best Nursing Home, facilities had to earn an average rating of 4.5 out of 5 during 10 months of federal reports ending in August 2017 and consistently meet performance standards set by U.S. News such as earning at least four stars in the Centers for Medicare and Medicaid Services (CMS) overall rating for all 10 months.